Let's get your blinds sorted. When it comes to tight deadlines and client satisfaction, we’re on the same page as your business. Our expert designers and fitters deliver quality at speed, so you can too. Just like you, we know the devil is in the detail. Blinds and curtains have a huge impact on the appearance and value of a property, so our team will work tirelessly to develop the perfect solution. First impressions count. Quality blinds or curtains increase your property’s value and make it stand out from the competition, helping you attract reputable tenants looking for a place to make and call home. Let our professional team take a load off your mind. We provide a fast, autonomous and reliable service, so you can focus on the demands of running multiple properties and providing the best for your landlords. Your windows provide warmth, protection and light, so they deserve to be dressed with respect. We’ll design and fit the best solution for your budget, transforming your living space and adding value. Our home has been totally transformed, inside and out, with our new blinds and curtains. Kudos to The Curtain Service for their expert tailored advice. We love our blinds. The guy that came to install our blinds couldn’t have been more helpful. He was meticulous in his measuring and was polite, quick and determined to do an excellent job. He was neat and tidy and cleaned up any dust afterwards. We would highly recommend The Curtain Service. We were completely satisfied with the quality of the blinds and their installation. The sales rep was extremely helpful; courteous, informative, and not pushy. 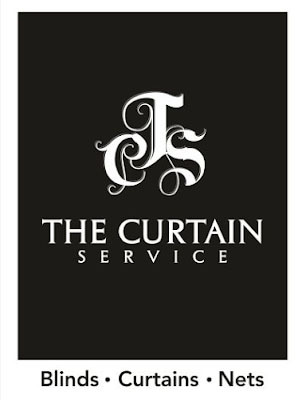 The Curtain Service was founded in 1998 to transform homes across Britain. By riding the tide of modernisations, innovations and shifting trends, we’ve remained the country’s top choice for blinds and curtains. Our unwavering commitment to customer experience continues to drive us forward with a legacy of quality, commitment and expertise. Whatever your needs and vision, our skills and dedication will get you there. We offer a free, no-obligation, on-site appointment and project quote. Meet our experts, quiz them and compare our products at no cost. Simply call or email to arrange a suitable time. Copyright © 2018 The Curtain Service. All Right Reserved.